Whilst I haven’t used Python for a while, it has always been the playground for geeks. With it’s C-like look and feel and it’s huge array of extension libraries there’s very little it can’t do. I was prompted to refresh my acquaintance with Python by a colleague who’d been reading this blog chain – this is the 10th in the series – and asked how to go about doing it. Requests is an extension library that provides support for making HTTP(S) calls. 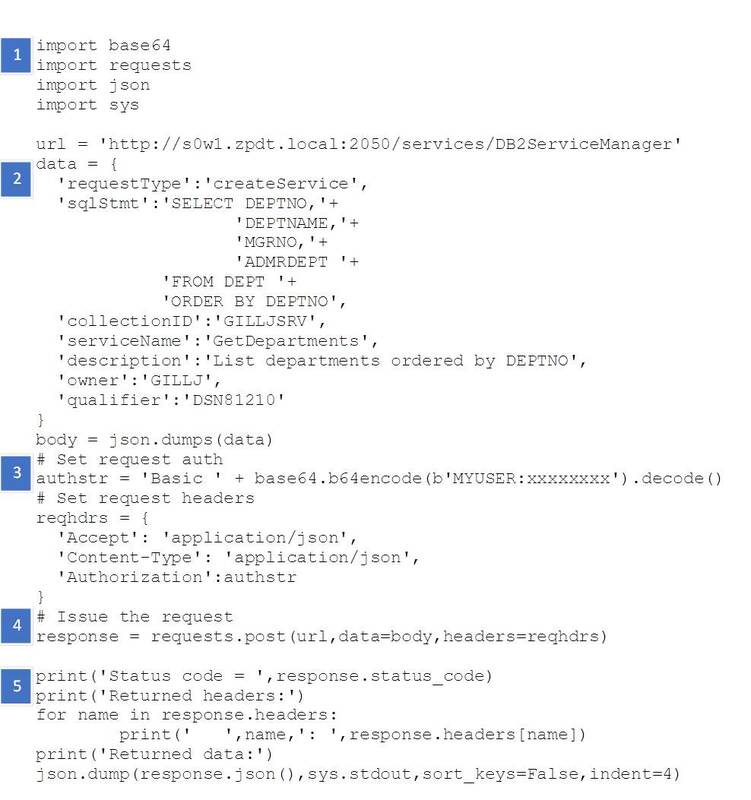 Define the request body – data – that will be passed as the parameter block to the DB2 Service Manager, then convert it into JSON. 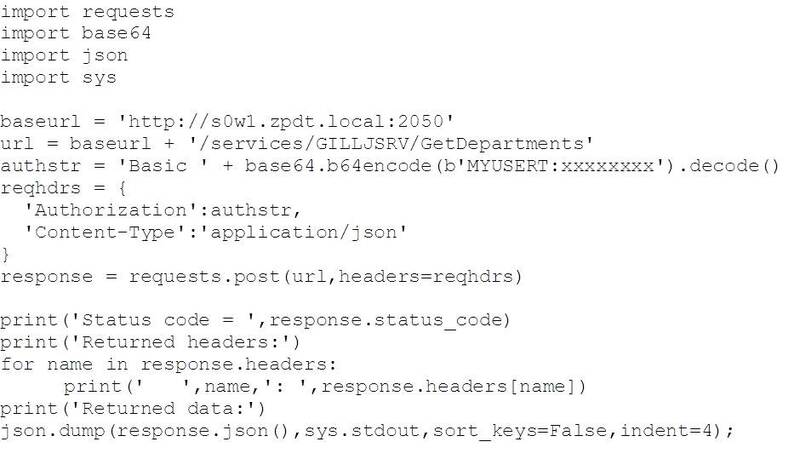 As seen above, driving REST services from Python is fairly simple. This next example is even more simple, as the service that we just created has no parameters to pass – we’ll cover that again in the next section. 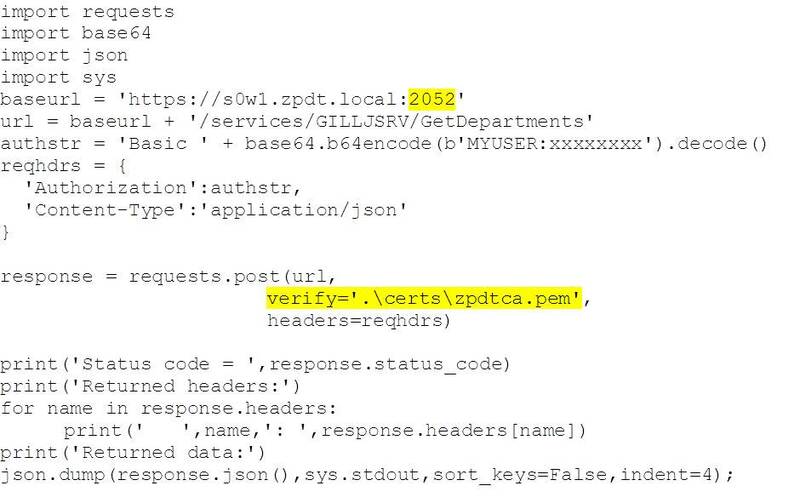 Note the change of port (to the DB2 secure port) and the additional “verify” parameter on the POST request, which gives the location of the CA certificate. We can also authenticate with DB2 by using a client certificate. This can be installed in, or generated by RACF and associated with a mainframe userid. When presented in place of a userid/password it is verified by RACF and the associated userid used. As an example, we have created a certificate in RACF and associated it with userid ADCDA. This is then exported and downloaded to the client machine, where it is split into the public certificate and private key files. 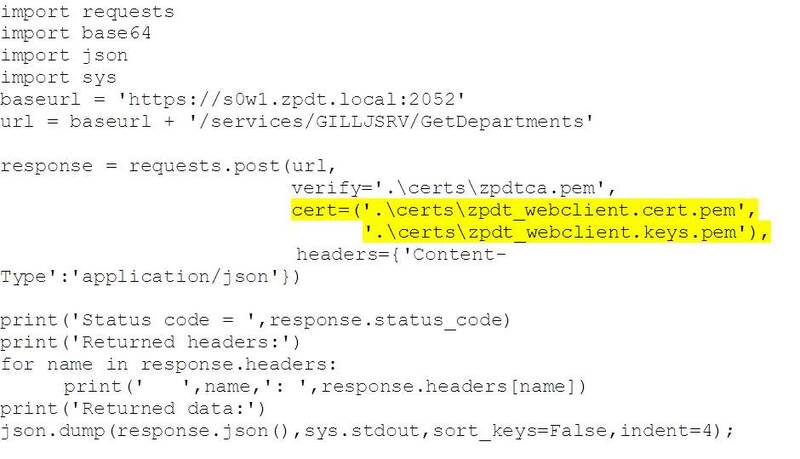 The creation of all of the certificates, how to export them and how to then split the client certificate into public certificate and private key files is covered in the 6th blog, here (see the sections headed zpdtca.pem and zpdt_webclient.p12). More fun with Python! 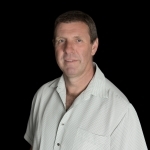 Now we can drive DB2 for z/OS, consume data and work with stored procedures, using the Requests library. The simple power of Python combined with the stored procedures supplied with DB2 for z/OS to support administrative processes will help any budding DevOps advocate rapidly deliver real value.